This actually happened, and I actually said that. I wasn’t mean or anything, but I did go into the store, Lowes, with the exact model numbers that I had obtained from Consumer Reports. I ordered the other, less expensive set…the set that comes with wrinkles. Lowes delivered it and installed it; and they’re both working fine. I can live with wrinkles. 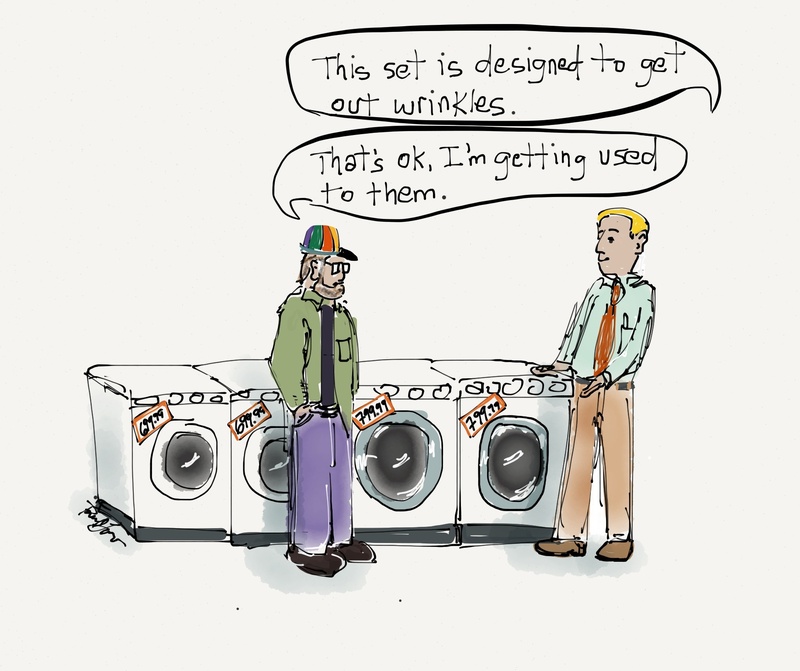 This entry was posted in Cartoon, Digital Artwork, iPad Art, Sketches and tagged erosion, gimmicks, Lowes, Washer & dryer, Whirlpool, wrinkles by portfoliolongo.com. Bookmark the permalink.